In this book, you learn of Quintilius and Ludwig's long history. The moment they met so many years ago created an instant bond and love. A forbidden love because of the stigma that their different species societies would not accept it. Quintilius is tired of the heartbreak Ludwig causes by choosing his duty as Archangel over him, so he decides to end their relationship once and for all. However events unfold keeping the two together. Ludwig comes upon an attempted murder of a vampire by werewolves. One of the werewolves turns out to be is Quintilius's son Lupo, a son he knew nothing about. Ludwig and Quintilius must work together to figure out the mystery other vampire deaths and how to clear Lupo's involvement. Intertwined within the story is Lupo's story and his own forbidden love with Jasmine. 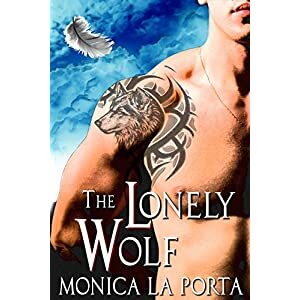 As with her other books Monica La Porta draws you into her stories. Here descriptions of Italy as with her other books makes you feel like you are traveling along the streets. Her characters are so likeable from Quintilius, Lupo, Jasmine and even Ludwig. Quintilius is a strong alpha werewolf, but he is so loving and loyal. Even though Ludwig toys with his heart he still loves him. He is devoted to Camelia and doesn't follow clan rules and never banned her from his home when she became disabled. He wants to be a father to a son he has always wanted. The story for me ends up being just a beautiful love story that transcends time, race, species, gender. It is a reminder that you cannot always choose who you love. Love is just love regardless of what society tries to dictate.